Google has informed me that they are used to specify which string the players should be using. I'm not a string player, so I'm curious about why one would specify the string - it probably changes the sound quality compared to the "default string", but in what way? I'm not sure I can tell a difference from the recording I have. Are there more examples that show how this technique is used? The Roman numerals often indicate that the notes should be played on a particular string. For the Violin, I = E-string, II = A-string, III = D-string, and IV = G-string. 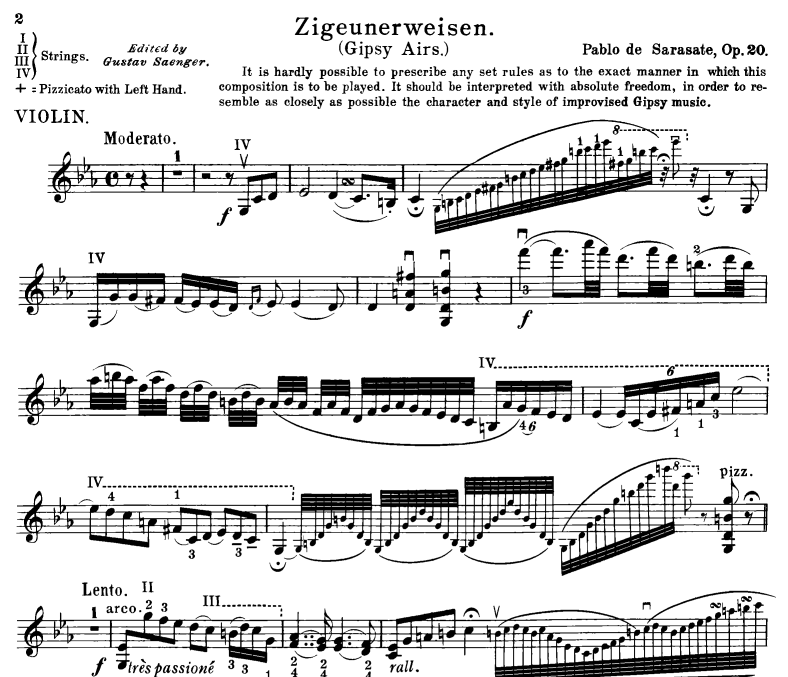 In your example, the first and second violins are expected to play the passage on the G-string in 6th position (nearly halfway up the string). The violas are also meant to play on the G-string (III for viola). Notes played high on the G-string have a very dark and beautiful quality which cannot be reproduced on the D-string. There are also instances where Roman numerals indicate the position, rather than the string, i.e. I = 1st position, III = 3rd position, V = 5th position, VII = 7th position, etc. Caprice #6 by Pierre Rode for example uses Roman numerals for such position indications. The violinist usually can figure out which is meant by context. Paganini Caprice 18 - IMSLP Link Opening Corrente section played entirely on the G-string up to a high E reached by stretching from 7th position. 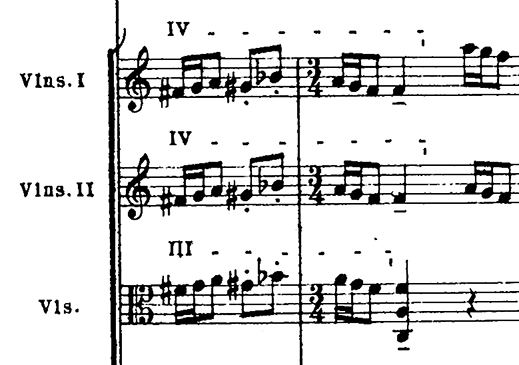 Bach Partita 3, Prelude - IMSLP Link Measures 64-66 are played on an open A and fingered D-string. Measures starting at 67 are played on an open A, with fingered D and G-strings. Not the answer you're looking for? Browse other questions tagged notation string-instruments or ask your own question. In any major key, what Roman Numerals indicate the major, minor, and diminished chords?